Variety Streaming is what I've always done. I never seem to stick to just one game and don't always have time to stream lately due to work and other distractions. Mainly doing Steem Monsters & SM giveaways but my favorite games right now (besides SM) is PUBG, Battlefield, Fallout 4, This War of Mine, Fortnite and GTAV for starters. I once had all the time but then I got a day job! I anticipate the weekend all week long so I can sleep in one day and as soon as it was here I woke up Saturday morning with a Migraine. This has been going on for the last three weekends. Healthy as can be all week. Weekend comes and all I want to do is take the stress of a long work week away only to get slapped with a lovely migraine. I keep telling myself it's better than having a migraine at work, so there's that. Just kinda ruins my weekend because I have to sleep to get it to go away. Today I'll be checking out some more DayZ. Had a lot of fun with it and I keep getting killed but I am hoping to get some kind of tent/base established so that I can do better. I enjoy the challenge for sure! Played a little bit last night off-stream thinking my phone would ring off the hook, which it did not, so I could have streamed. After four hours of collecting loot, I got sniped in the head. Good times! Maybe I'll do better today! DayZ, originally being a mod of Arma II, is more enjoyable than PUBG to me. I love the PUBG concept but I hate the shrinking circle. DayZ let's me run around and explore without having to worry about that shrinking circle, so it suits me much better! If I do get bored, I'll probably end up on ARK for the remainder of the stream. Work tomorrow so I won't be on very late. The migraine issue certainly set me back on other posts I wanted to make, and I am hoping to get off the just-gaming streams sooner than later but I am also focusing on building my stream as well because I enjoy it! What season are we in? The SM Website once told me...literally once. Can't find that info anymore. If you are interested in some Axie Infinity...feel free to join under me! I would really appreciate it! As always, it is inevitable that I may get called away from my PC mid-stream for business. I'll usually announce if I am returning, but will need to end the stream quickly when this happens. When I joined Steemit I made the decision to always Power-Up my earnings. 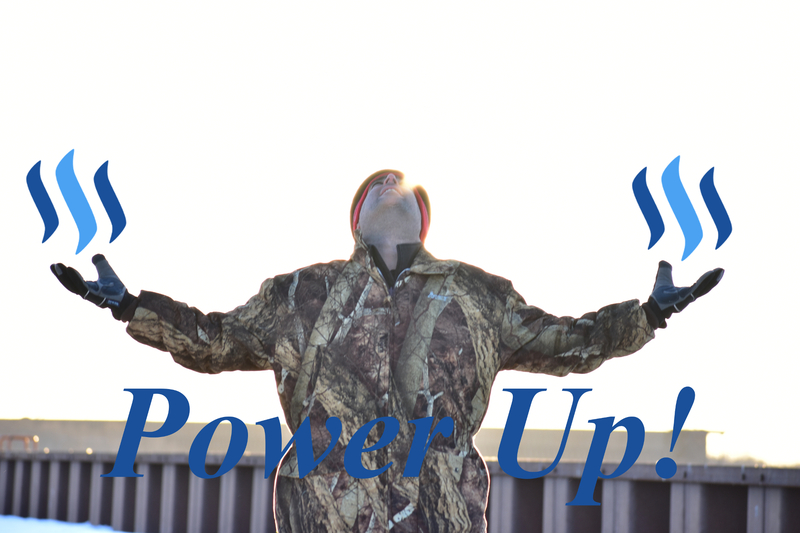 For now, payouts are set to 50/50 but you bet I will convert & Power Up! Besides internal transfers, I have never cashed out and don't plan on it! Power-Up only! Please Consider @comedyopenmic for witness! Proudly a part of the #comedyopenmic / #comedyopenmicespanol community! Make people laugh with your original jokes! Curate, Participate, Donate, Delegate! Click The Banner Below To Vote @ComedyOpenMic For Witness And Disrupt The Steem Blockchain With Laughter! Send a gift to bitfiend. Gift STEEM to bitfiend using ETH, LTC, BTC, or DOGE!